Living Sq. Ft. : 2779 s.f. Total Sq. Ft. : 4147 s.f. 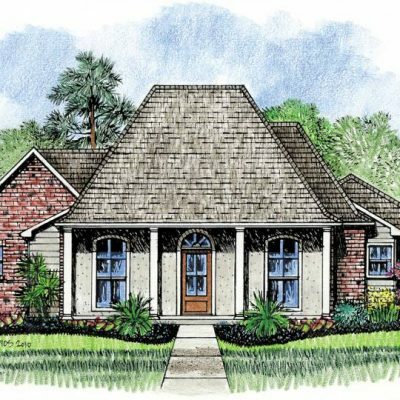 A traditional southern Louisiana house plan design with a touch of Acadian styling. 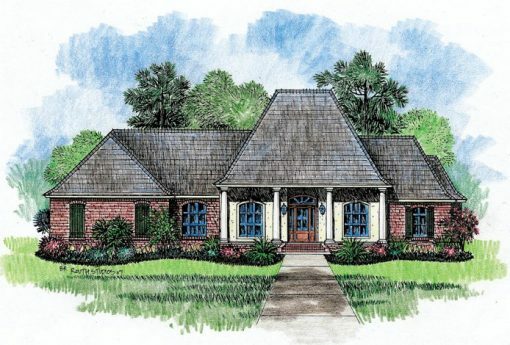 The front porch of the home features four pillars and a welcoming staircase. 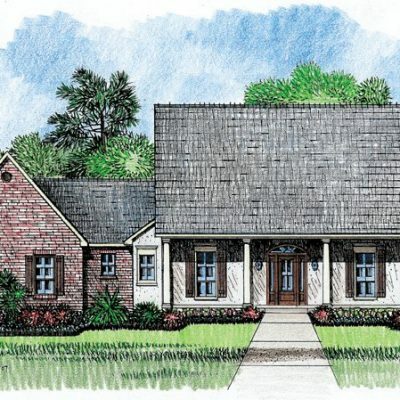 The garage on this plan is located to the side of the house with a 9’ x 25’ storage area. The home plan features 12’ ceilings in the main living area to give it a grand feel. 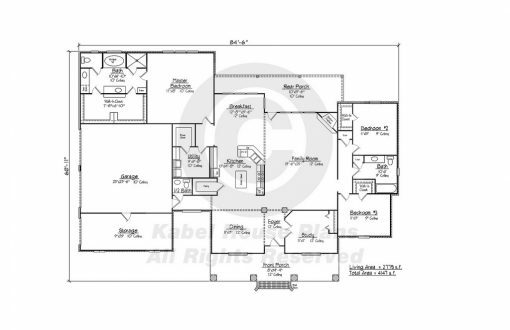 It is an open plan with the kitchen having an angled counter with a bar that looks out into the family room. The family room is quite large at 19’ 6” x 25’ and has a corner fireplace to enjoy and access to the rear porch of the home. 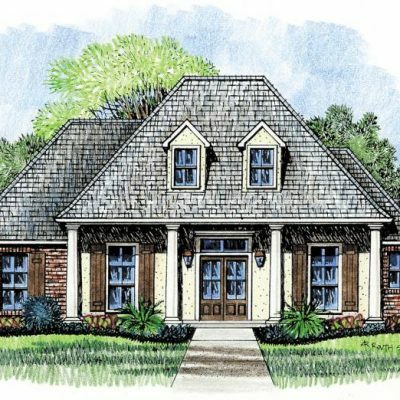 The master has a great his and her walk in closet design and is conveniently located across the hall from the laundry room for easy clothes washing. 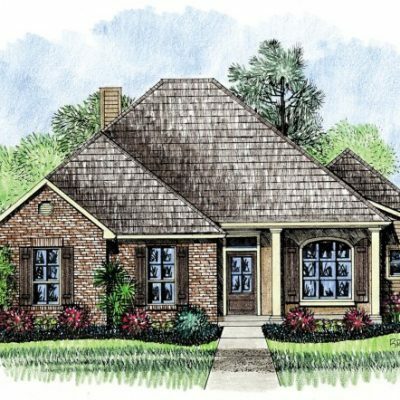 There are two additional bedrooms in the home located on the opposite side of the house from the master. Both bedrooms feature walk in closets and share a bath. You will also be pleased to note that there is a study at the front of the home across the formal dinning room that includes a closet. Additionally, it can be used as a bedroom if need be. This plan gives a grand feeling to those invited in.